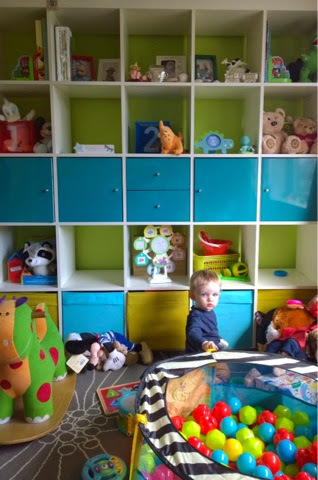 A little while ago, I wrote about Ethan being at an inbetweener stage and how we were struggling to find new toys for him that were engaging but not too advanced or fiddly for his age (you can see my top toddler toy tips here). We then found Happyland and everything changed. It's suitable for 18 months to 3 years although there's no reason we can see for Ethan not to play with these toys now. It's a really fun and engaging range that has everything from people and animal figures through to small buildings, interactive playmats and larger toys. There's around 55 different products or sets to buy in the current range so there's plenty of choice and Ethan already has a few things in his collection. He has the interactive playmat, with tour bus, tourists, policeman and safari and farm animals, plus a set of construction vehicles and workers. Dare I say it, I've even bought his main Christmas present. In August. I know, I know, but at the moment the Happyland range has 20% off, to celebrate Early Learning Centre's 40th birthday. It was too good a deal to miss and I had some vouchers to spend so snapped up Ethan's main Christmas present - the Happyland train set. The staff told me that a extension pack will be available for it soon and I also learned that every figure in the range is painted by hand. I also have my eye on the table, as it would be useful to have a set play area for Ethan and his Happyland toys, and the pirate ship also looks a lot of fun.The prices of the range are great too, particularly for the figure and vehicle sets, and I think Happyland will be on Ethan's Christmas list to Santa for sure. One of the phrases I use to in describe myself - you know, when you have to write about a mini bio about yourself in 140 characters of less - is 'picture taking, memory making'. I've always loved photos, spending hours looking through the meticulously kept albums of my Grandfather and the time-weathered family scrapbooks of my Mother. I love being able to look back to a moment in time, taking the chance to reflect or remember a memory, a person, a place, a time. 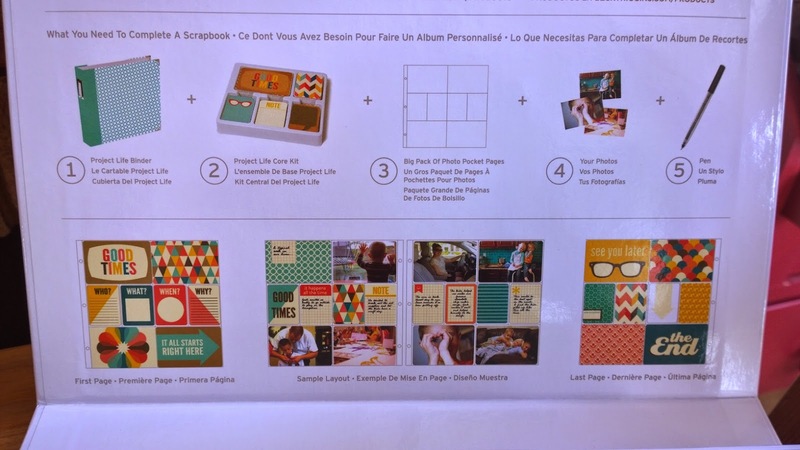 That's why I've always kept albums of my own, although I am rather behind, why I'm starting our family scrapbook and why I love Instagram so much (you can follow me at ToBecomeMum). I, like many of my generation, am literally glued to my phone most of the day but beyond staying connected and being social, it's all about photos. I never want to miss a moment which is why I went for one of the best camera phones available (a Lumia 1020, if you'd like to know) as I use my phone as a camera much more these days than as a phone. I love my DSLR camera, which comes out on special occasions, but you can't beat a good camera phone for capturing a moment in an instant, no planning required. Sometimes, you want to make more of a memory. You want the photos of your past to talk to you, to tell you more about what happened after that photo was taken, to remind you why you were there, who was taking the photo and how you felt at the time. Photos are signposts of our past and the many ways we can share them now is just amazing, but sometimes you just want more. For that reason, I am so grateful to have our wedding video, as well as our photos, as it captures that special day in a unique way. However, now you can bring photos to life. You can give them a backstory. You can let them take you back to a time and place. You can make them speak your own words. 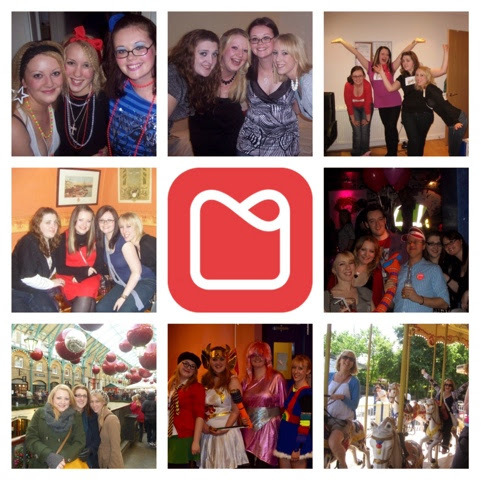 I recently discovered the Memory Box Stories app and I am so glad that I did. Being obsessed with photos, and a habitual over-sharer keen to post / tweet / share a moment as soon as it happens, any new app that let's you have fun with your photos is an exciting one for me. 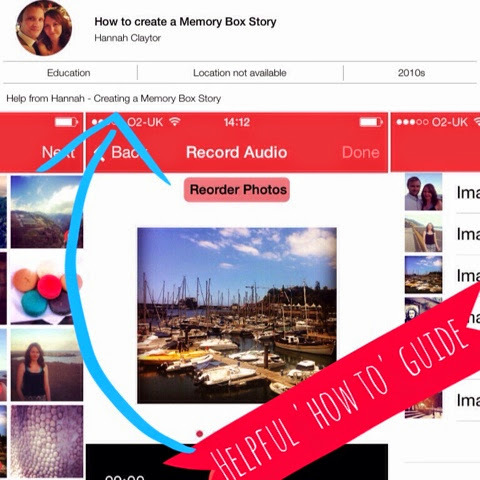 What's the story with the Memory Box Stories app? 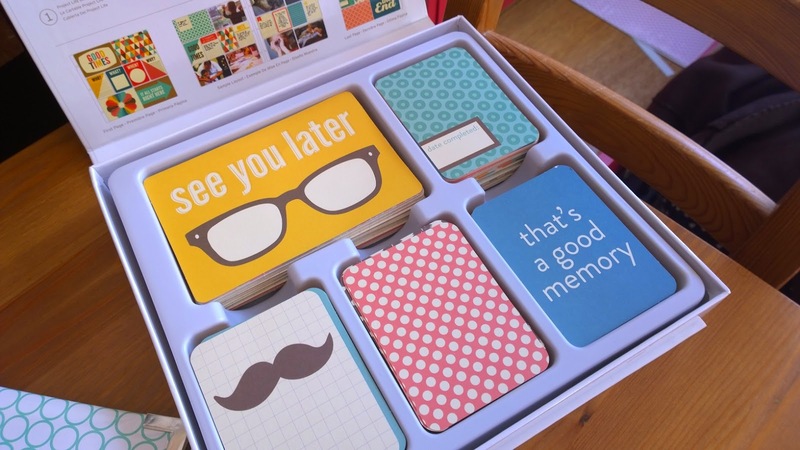 Well, it's a very simple but rather lovely idea. 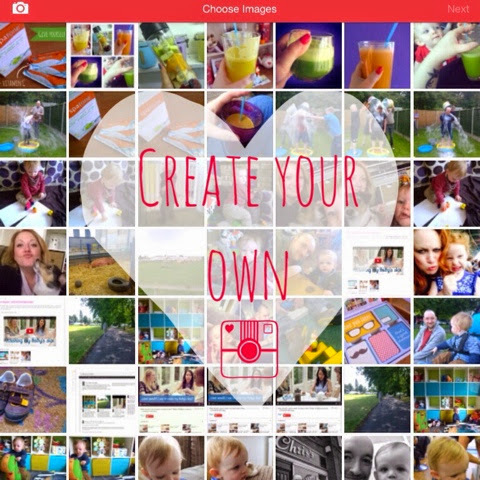 You select up to 10 photos, record some audio and then let the app create a video montage. That's it. Such a simple idea but one that you think to yourself 'why hasn't this been done before?'. It's also rather addictive. 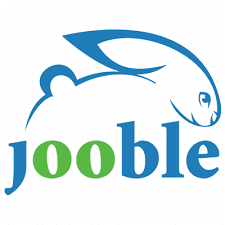 When you sign up, you're able to create 20 videos for free. Up to 10 photos per video. Up to five minutes of audio per video. You can the. Choose to subscribe either monthly or annually so that you can create an unlimited number of stories. 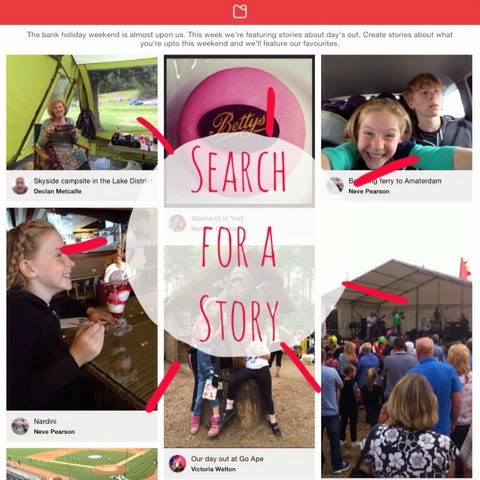 You create a profile to share your videos on and you can make these public, using the categories and location tags to help them come up in searches, or you can keep them private. Either way, they live on your profile and you can share them with your friends, family or followers via a link. I've made a few stories already - they're not perfect but that doesn't matter. I'm looking forward to making more as time goes on, with the chance to listen back and hear in my own words, and those of my friends and family, the story behind the photos. There's lots planned for the app in the future too. At the moment, it's very straightforward and the functions are very simple. 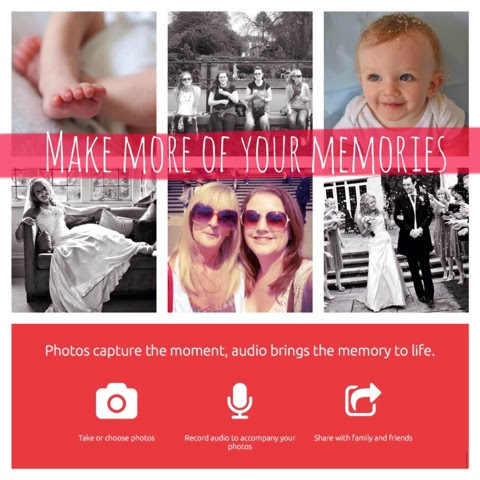 This makes it easy to use but there's a lot more you could do to bring your photos to life in this way so it's exciting to see what else may be added. The hope is that you will soon be able to save drafts and that the app will be available to devices other than the iPhone/iPad. As I said, it's addictive to use, not only to make your own stories but to see other people's stories too. Whether you're going to visit somewhere or want to see what a friend has been up to, there's lots of stories to be told. 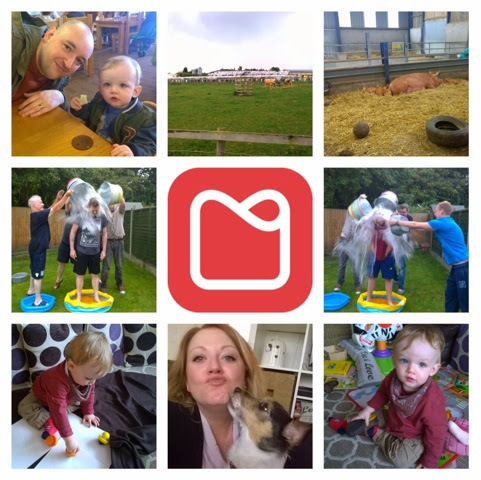 I like the format of the app; it makes it extremely accessible and can be used to bring so many photos, perhaps some forgotten, to life. 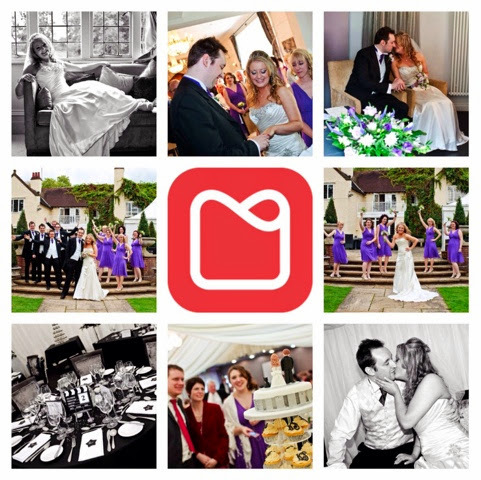 Memory Box Stories is available on iTunes to download for free, with up to 20 stories included, after which a small subscription fee of £1.49 per month or £9.99 for the year applies to make unlimited stories. So go on, make more of your memories. I'm on a bit of a health kick of late, at least I'm trying. 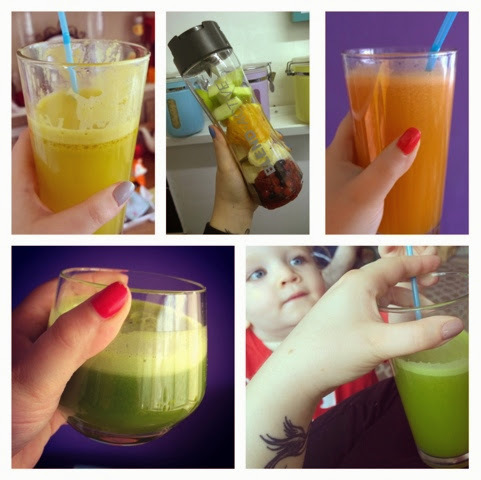 I really love juicing and I've been doing a lot of reading about good things to add to my diet and supplements that can help boost my health in a variety of ways. I need to make some improvements to my eating habits, as I'm really good when I have time or can be bothered to make meals from scratch (not always easy if I am home alone with the little man or on the road for work) and I do need to get my bum into gear when it comes to fitness. I've started the 30 Day Shred workout, although by no means can I do this everyday. But at least it's a start. I'm a big fan of Udo's Choice as you probably know (a great Omega3 oil supplement) and I'm giving coconut oil a go in my cooking after hearing so many amazing things. Another new addition to my diet comes in the form of a liquid food supplement, packed full of iron and vitamin C. Spatone combines 100% natural iron-rich water (sourced from the mountains of Snowdonia no less) with added vitamin C to help your body absorb as much iron as possible. 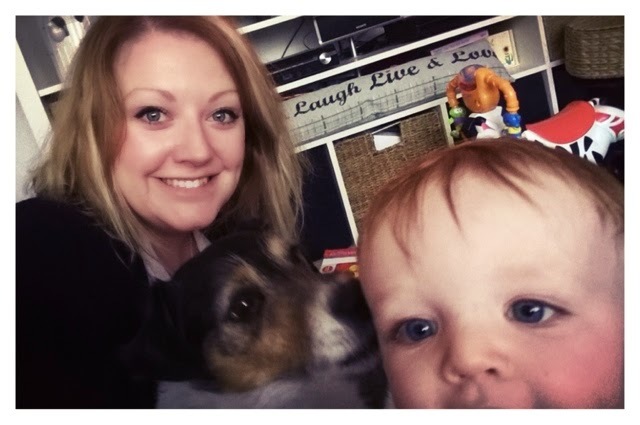 I started taking Spatone as I wanted to give my energy and concentration levels a boost; something I can struggle with, particularly after a sleepless night brought on by Ethan's teething or a long day at work. Iron is an essential mineral that transports oxygen around your body and can help with vitality and the release of energy. It's also important for the maintenance of a healthy immune system and to help sustain concentration levels. The Spatone Liquid Iron Supplement sachets I've been taking are flavoured with apple and can be taken direct or added to water if you prefer. It's best taken on an empty stomach and I have been adding a sachet to my morning juices, to give them an added boost of goodness. Each sachet contains 5mg of iron with a high absorption rate of up to 40% (far greater than the rate you can absorb it from most foods) and they're great to have on the go if you need a pick me up. I have a couple in my desk at work and in my handbag too and feel they give me a boost. For me, knowing I'm getting the right vitamins, minerals and nutrients is important and if I'm putting good things in, then I know I'm doing what I can and should see the benefits as a result. I'm enjoying taking the Spatone Apple sachets and they're really easy to add into your routine. They're also a great option if you're pregnant and want to boost your iron intake. Remember Folic Acid is recommended for all pregnant women. Best started before pregnancy, but do commence as soon as your pregnancy is confirmed. Get serious about your nutrition – is absolutely essential for a healthy pregnancy and your baby’s development, but it’s quality not quantity that counts – you only need an extra 300 calories from 5 months onwards. Your first blood tests will be due in early pregnancy – this check includes your blood group, iron and rubella amongst other important tests. Now is a good time to start your daily Spatone to help maintain iron levels during your pregnancy. If you have been suffering from some of the pregnancy ailments such as nausea and tiredness, the good news is that for most woman these should start to ease off in the next few weeks. You will have probably been excited to have heard your baby’s heartbeat at your antenatal visit and felt your baby moving for the first time. 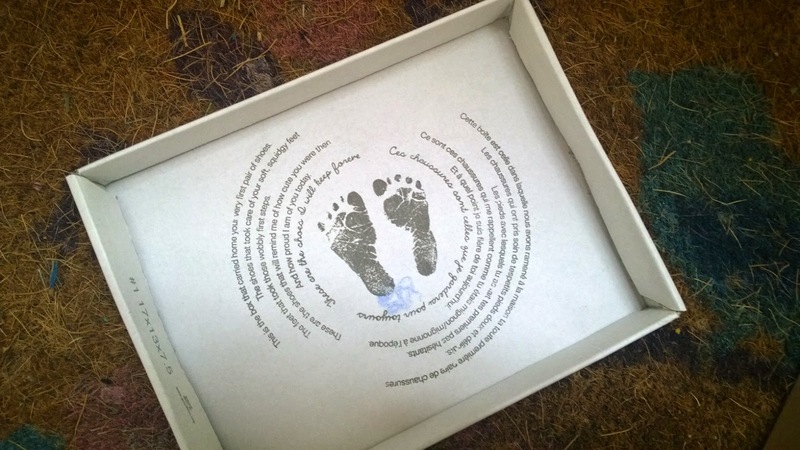 At around 20 weeks you will be offered a scan to check your baby’s development, which provides you with an opportunity to have a peek at your baby too if you wish. Although your body is adjusting to your pregnancy and you will have put on some weight, it is still important to ensure you get plenty of exercise and fresh air and a good night’s sleep daily. There is often a lot going on – so make a list of questions for your antenatal visits and discuss any concerns with your midwife. You may find difficulty in sleeping due to to discomfort – try experimenting with pillows and wedges in your bed. It is still important to continue to eat healthily right until the end of your pregnancy. Now is the time when your baby’s brain is rapidly developing – essential fatty acids and iron are crucial for brain health. Iron demands rise steeply in the 3rd trimester so now is the time to increase your Spatone to two sachets daily. As you get nearer your due date you may experience an increase in Braxton Hicks contractions, heartburn and backache, although uncomfortable, these are all signs that your pregnancy hormones are active and busy preparing your body for birth – so just be patient and await events. Lastly, don’t forget to pack your birthing necessities well in advance and make sure you include your birth plan if you have made one. 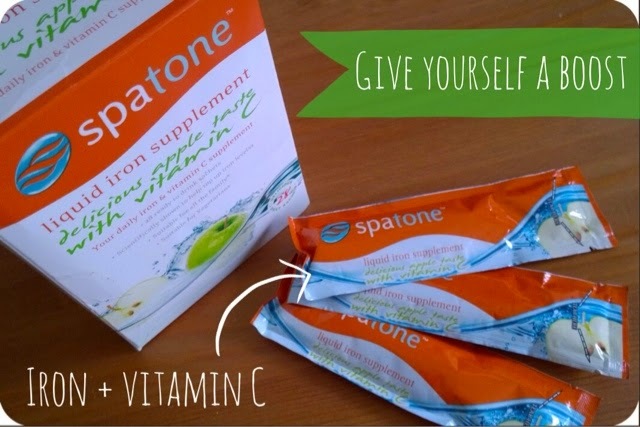 So, if you're energy levels are flagging or you want to top up your iron, I'd thoroughly recommend you give Spatone a go. A box of 28 sachets (a month's supply) is priced around £8.25 and you can find out where to buy online here. *Note: I was sent a box of Spatone Apple sachets to try but as ever, I speak the truth! Hi J I’m Lucinda, originally from Watford Herts. Currently living in South West London, although we’re hoping to move out of the big smoke by the end of the year/early 2015. 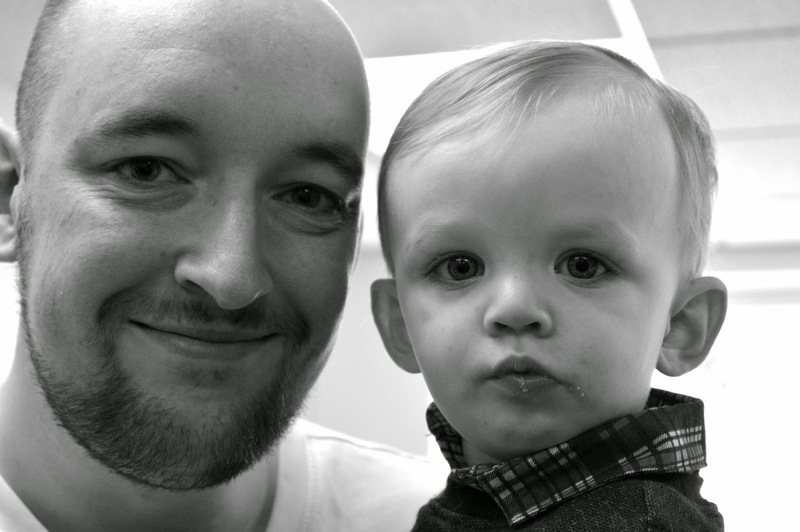 I have one little dude, Eliot Jude (I didn’t mean for that to rhyme) who’s 13 months old. Since I was a little girl, I loved playing with dolls ‘being a mummy’. I knew from an early age that I wanted to be a mum some day. Just watching my son grow and learn. It’s amazing how much they change within the first year and how much they accomplish. If I had to pick one thing I would say hearing Eliot laugh, it’s the most heart warming thing! That breastfeeding was hard and not to feel guilty if it didn’t work out. Ha, I uploaded a video a couple of days ago! The usual paraphernalia, nappies, wipes, purse phone, changing mat, hand sanitizer, teething stuff, bibs…I could go on! Just everything I need when I’m out and about with Eliot. 1) A crib, it lasts longer than a Moses basket. 1) Pram shoes!!! As adorable as they are they are just pointless and end up sat in a drawer. 2) A Mamas & Papas material covered changing mat. Gorgeous but not practical. 3) A baby carrier, we only used it a handful of times. I love Tommee Tippee, they’re a high quality brand and you can find many of their products at excellent prices in baby & toddler events/sales. I’m a fan of OXO Tot, they do a fab weaning range that is also high quality. I also love The Gro Company as we utilise their products on a daily basis. I went back to teaching part time in April but I resigned, so I will be doing supply teaching part time for a little while until we move out of London. Even though I only worked three days I found it incredibly hard, I don’t know how some mums do five plus days. Personally I couldn’t cope with the demands of a full time teacher and being a mum. The nature of the job would also mean I would spend little time with Eliot during the week and I don’t want that. Watching Eliot flourish, it is the most incredible thing to create another human being and it is magical to watch them grow. This I’m not great at. 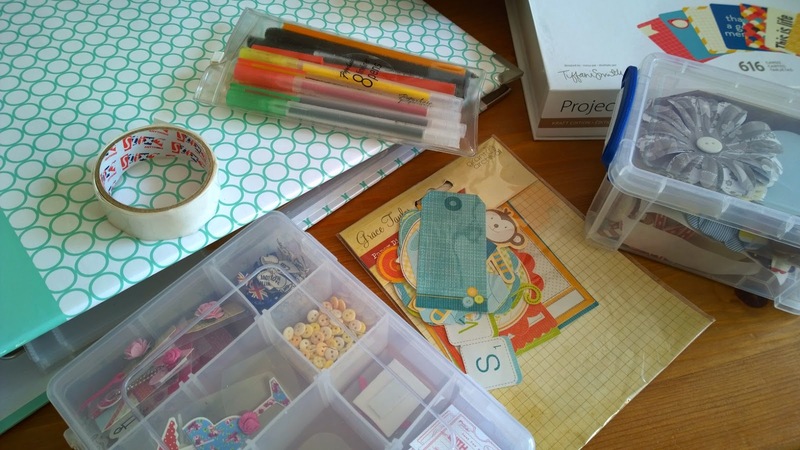 My OH and I are both unorganised so we aren’t always savvy with our time. Once Eliot has gone to bed I like to have some ‘me time’ watching TV, catching up on other blogs or blogging myself. 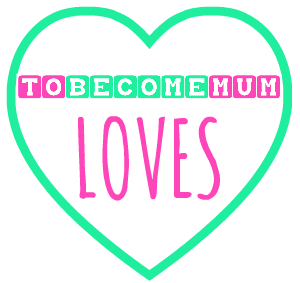 My blog is called Teacher2Mummy, it’s everything parent and lifestyle! You can find it at teacher2mummy.com. The best thing about being a blogger has to be the friendships made with other bloggers. 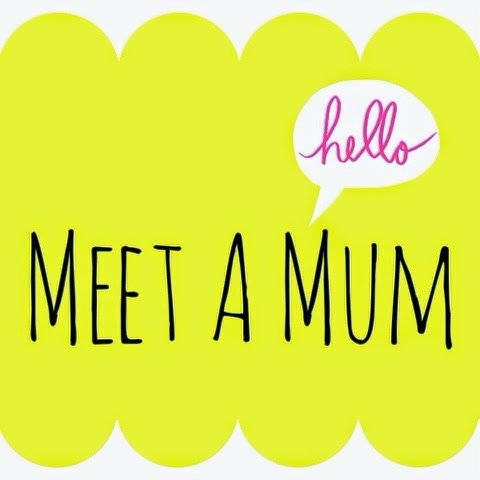 I was lucky enough to meet a good few (including Kelly) at BritMums Live back in June. At Little Britain Live a few years back, I was crazy enough to put my hand up to be dragged on stage with Matt Lucas as Marjorie Dawes. No one else volunteered and I was waving my arms around like a crazy woman! He had no choice but to pick me. Thanks Lucinda! 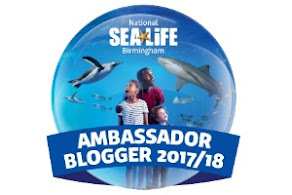 It was great to have you guest posting today and I urge everyone to head over to your blog now... go on, go! 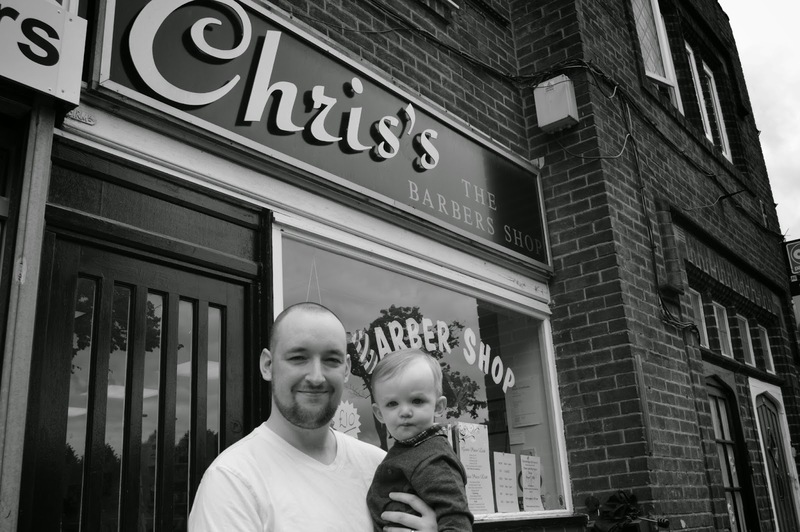 I am all about marking every milestone, from Ethan's first words to his first haircut, which is why our recent visit to Clarks was such an exciting time for us. 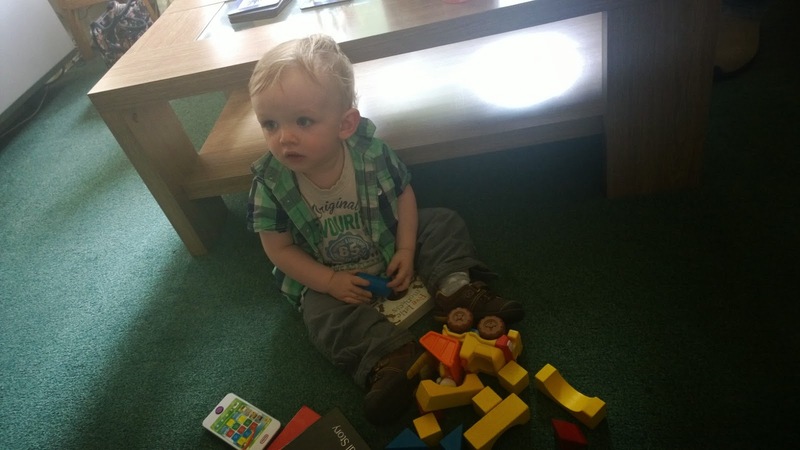 Ethan has been pulling himself up on his feet for quite a while now and every day, he's getting more confident, shuffling around the lounge, one had holding onto the sofa or table for support. 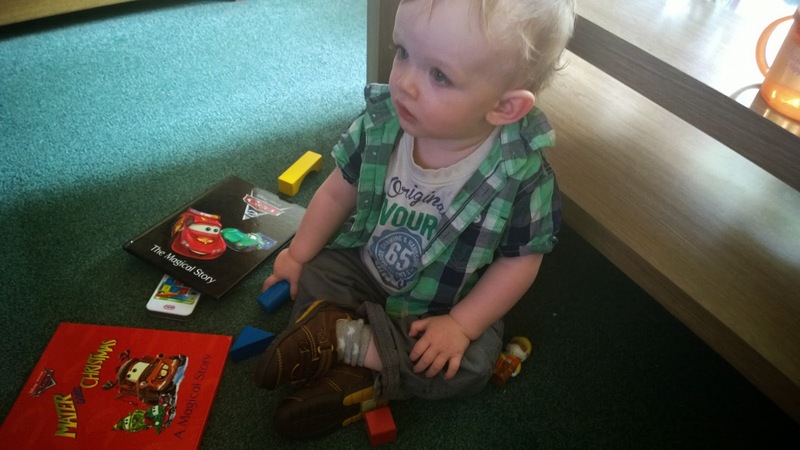 He's getting lots of practice at nursery and it won't be long before he's walking for real. So, the time came to buy him his first shoes. Proper shoes. Ones with solid soles and lots of support for his growing feet. 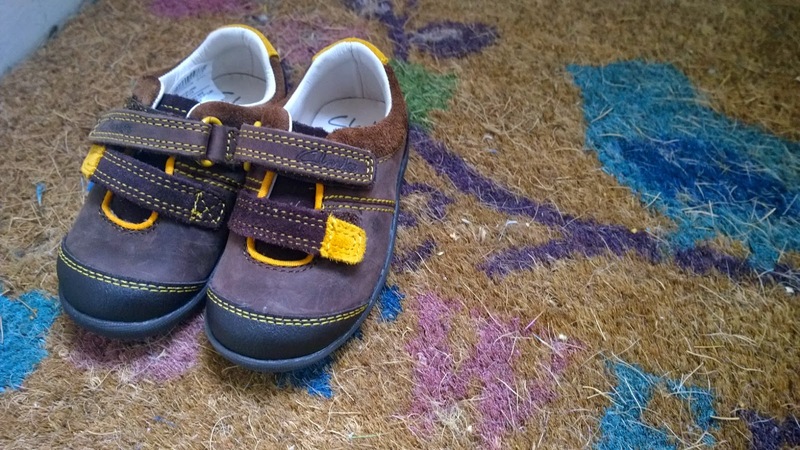 We went to Clarks, as without question, I knew they were experts and every little boy should have a special pair of first shoes. And it seems that Clarks agree. 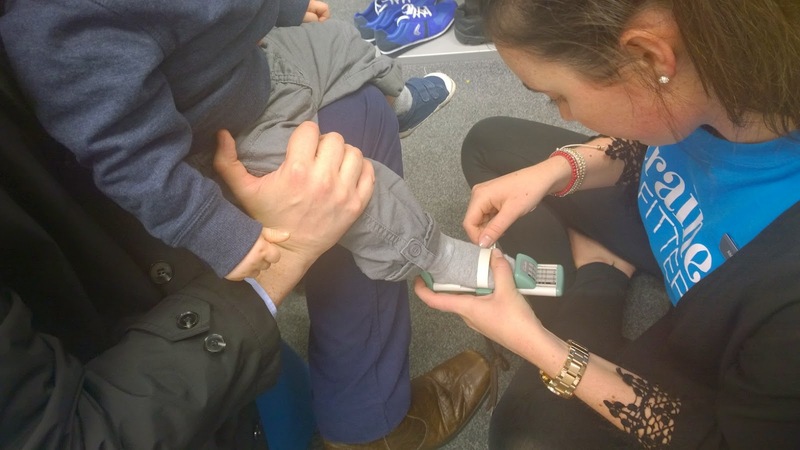 I was there, snapping away on my phone, keen to capture the memory of Ethan having his feet measured for the very first time, when the Clarks sales assistants told us how they too think it's an important occasion. 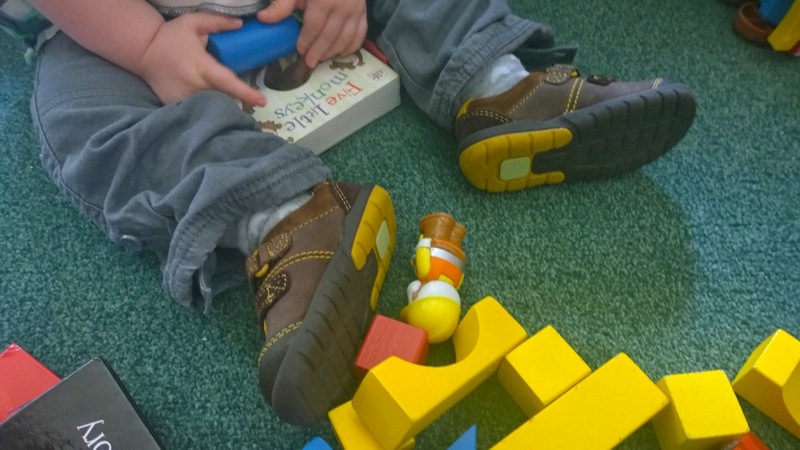 After measuring his feet for the first time (he's currently a 3 1/2 G), we took a look at the shoes they had in his size and let Ethan choose which pair to take home. 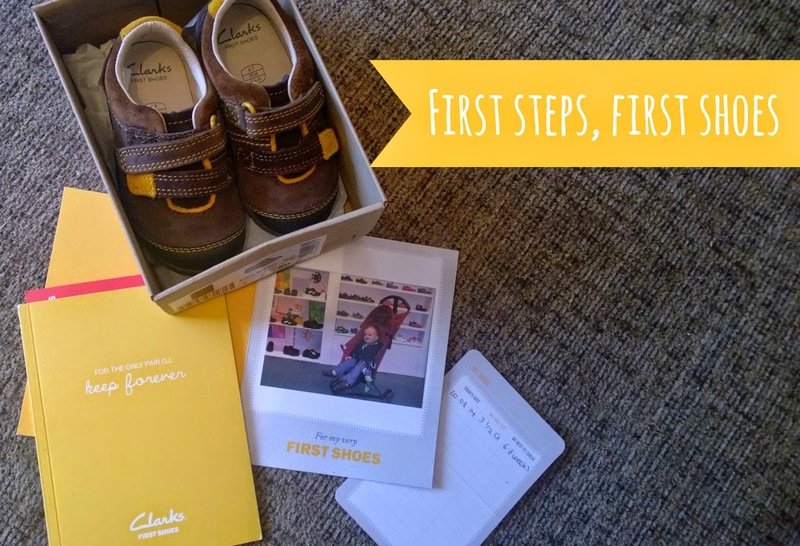 The assistant then said would we like Ethan's photo taken in his new shoes, to go inside a certificate booklet. Erm, yes please! 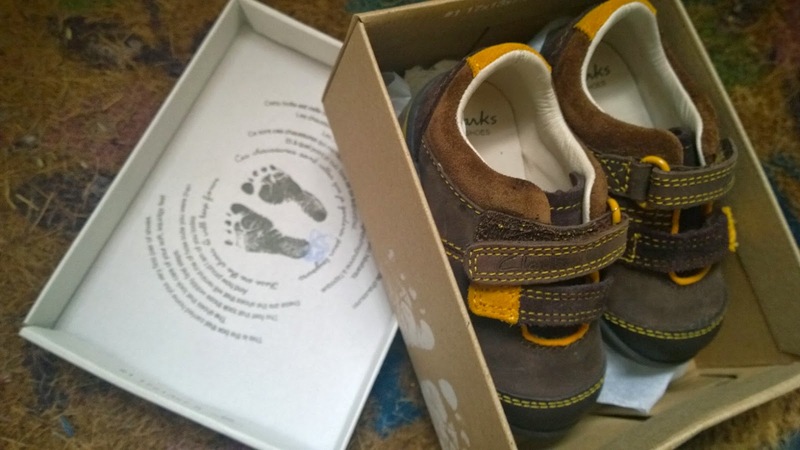 They took his photo then handed us his new shoes in a lovely box with a beautiful poem inside the lid and gave us a very nice booklet that explains all about how children's feet develop. There's a lot more to it than it looks and I knew I wanted to get a really 'good' pair of first shoes to support Ethan as he moves from cruising to walking. At the cruising stage. the soft cartilage-like structure in a child's foot is staring to ossify - gradually forming most of the bones they will need to support their foot. When they start walking, there's 25 different bones forming in their foot, so it's important they get the right support. 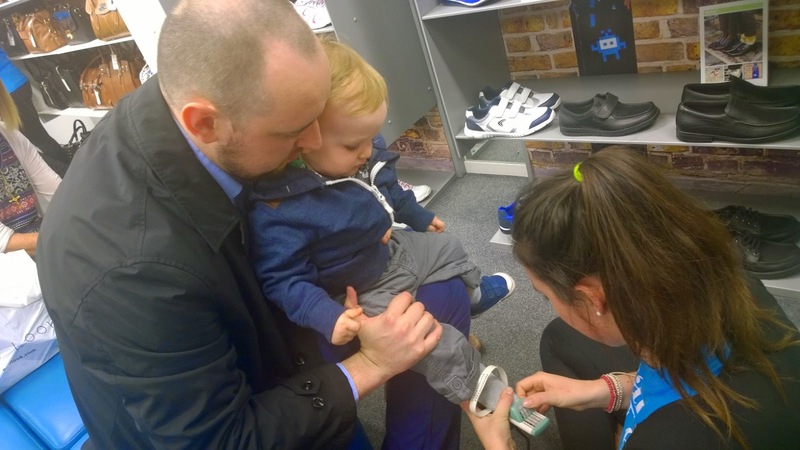 Apparently, after they turn one year old, their feet will grow around 16mm (two sizes) every year thereafter until they are five years old and it's recommended that you take them for shoe fitting checks every six to eight weeks. When reading the booklet, I also noticed it included a note from Katie at Mummy Daddy Me - what a nice surprise! Becoming a mum is undoubtedly the biggest, scariest and most rewarding role you can ever play. 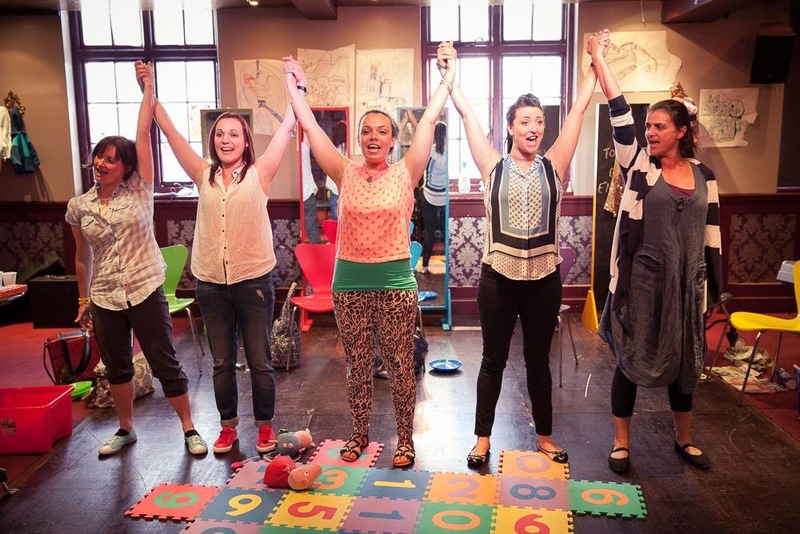 I say play as it's a role you need to practice and it takes time to rehearse all the different aspects of the character - all with the utmost desire to deliver an award-winning performance. Or at least one that gets a few claps from the stalls now and then. As Ethan gets older and hubs and I settle into our roles as Mum and Dad (honestly, does it ever stop sounding weird being called that??) , I'm realising that we each have quite distinct roles. There's many things that we do well together as parents; we naturally take turns when it comes to changing nappies or preparing meals for Ethan without the need for discussion and if Ethan's ever sick, we start working in tandem with each other, one of us taking care of Ethan and one dealing with the mess left behind. When it comes to Ethan and what he needs from us, however, increasingly I can see a difference between what hubs and I provide. 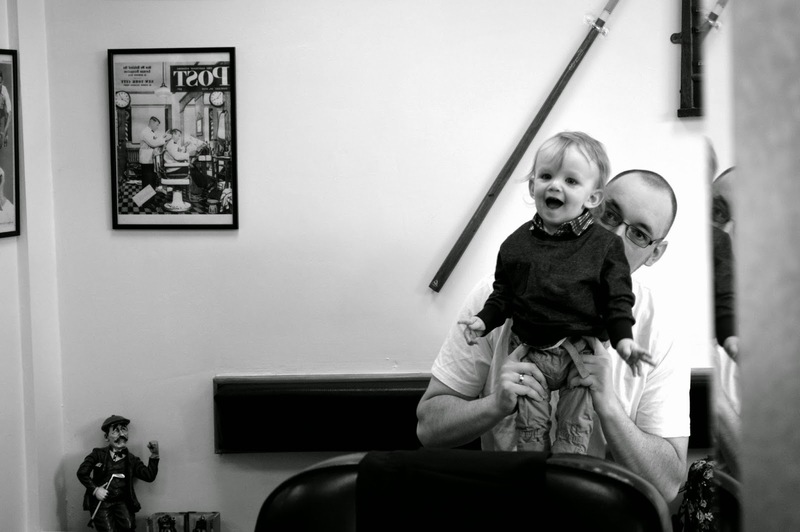 For fun, giggles and entertainment aplenty, Dad's the guy to go to. I do my best, playing with his animal figures, making the appropriate sounds, rolling a ball, showing him how to use certain toys. I just don't really *know* how to play or what to do whereas it comes much more naturally to Stephen. He scoops Ethan up in his arms, swirls him around, plays peekaboo behind the sofa cushions, pretends there's a monster under his tshirt... all sorts of fun things that just come to his mind really naturally and never fail to make Ethan giggle. So my role tends to be more practical or emotional. I keep Ethan's routine on track, noting his meal and snack times, rotating his toys around to keep things interesting and giving him cuddles as he has his milk before bed. 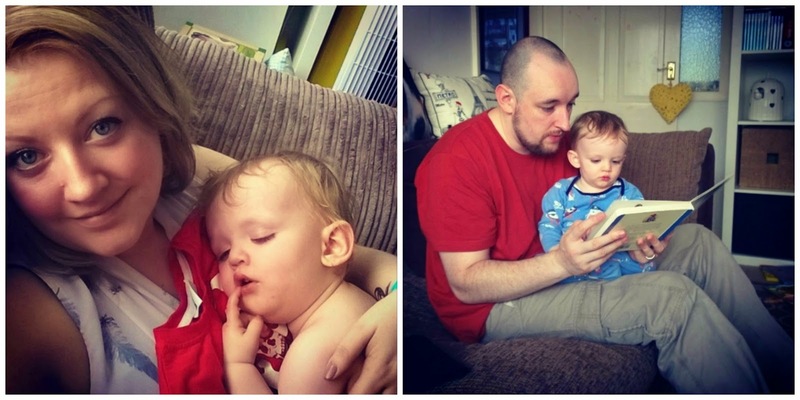 It comes much more naturally to me to look after the practical side of parenting and the comforting when needed, probably as I feel I know what I'm doing more. Ethan needs to have play companions and cuddle givers so it's good that hubs and I can compliment each other well, despite our naturally skills for different roles. I hope that over time, as Ethan grows, I can learn how to play more and how to make things fun. I guess it's a case of researching my role and practising my part whenever I can. I'm an only child and when I was younger, I spent a lot of time playing by myself. I'd read books. I'd build dens. I'd make time capsules. I even for,ed my own hedgehog club, complete with membership leaflet and card, which had just the one member - me. Now before you start feeling sorry for me or start hearing a tiny violin playing off in the background somewhere, I didn't mind. If you're an only child yourself, you'll understand too. I knew no different. You can't really miss what you've never had. Playing by myself helped me to become the person I am today. Of course, my parents didn't just leave me alone every day to fend for myself, but when I was young yet old enough to play without constant supervision, I relied on my imagination and explored the world around me. Namely, our garden and the surrounding woods, playing fields and canalside areas the school I lived next door had to offer. 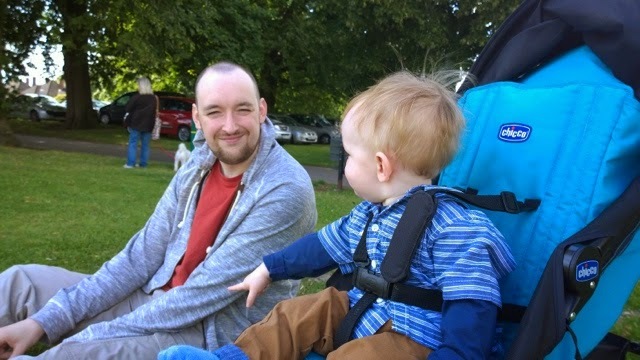 Whilst I'm sure that Ethan won't me an only child like me, I don't think there is anything wrong with it and I can see from my own experiences that having my own time to discover and play is incredibly valuable. This past week, another story telling parents what they should or shouldn't do came out in the press. In fairness, it was in response to a survey that had been released by MadeForMums and Fisher-Price about the pressures parents feel when it comes to playtime, but any 'expert' advice seems to be played out by the press as a stark warming rather than friendly advice. Anyway, this time the news was telling is that if we want to boost our child's development, we may be stifling it if we rely on structured activities. I've always been keen to introduce some structure to our routine and will rotate toys so Ethan doesn't get too bored too quickly and I guess I've always had this idea in my mind when Ethan is a bit older, we will take part in structured activities during the day, from painting and role play to baking and playing games. According to the survey, parents, like me, feel a pressure to play one-to-one with their children and to keep them constantly engaged through structured activities. Sixty-three per cent thought one-to-one play would help their children develop new skills more quickly and 66 per cent worried they didn’t play with their offspring enough. However, we needn't feel so much pressure, as playing alone is just as important. In fact, it can help our little ones to develop crucial skills linked to higher academic achievement and all-round well being. I would argue, personally, that for children with siblings, this individual free-play is even more important. Ethan regularly does his own thing, choosing what to play with and for how long. I know he's still quite young so that's probably the same for most children, but it's not something we will discourage. He's learning every minute and we don't want to restrict him in any way. He has an enviable inquisitiveness and is in awe of everything around him so we are quite happy to let him discover things for himself. We can see him working things out and learni what happens when he does something. We're always watching, don't get me wrong, but if he's trying to reach for something, as long as he's not going to really hurt himself, we let him figure out how to get it. Either outcome teaches him something and I believe that this kind of play helps him build confidence and his independence. That said, he does love to play ball with us now, flinging or rolling a ball at us, or he likes to have us read books or join him on the floor with his toy animals. We will continue to play interactive games with him as well as encouring creative and sporty activities, plus free play when Ethan can choose what Ethan would like to do. Becoming a parent is a non-stop minefield of information and you're always learning. Whenever 'official' advice such as this comes out, it can anger some parents and worry others. The truth is, much about being a mum or dad is common sense and you have to learn how to do things your way and in the way that best suits your child. As long as they get to enjoy a range of different things as well as having some time to just let their imaginations take over, they'll get the best of both worlds. It may still be August, but I can't be the only one who has felt a change in the air these past few days; a cooler feel that may signal a shift in the seasons. I may be one of the few quite excited about this fact if it's true. Summer has it's fantastic qualities, I'll give you that - long, light days, the promise of some sun, the sound of ice cream vans touring the neighbourhood in the evenings, everyone seeming happier as they go about their daily lives - but for me, Autumn has all other seasons beat. Hands down, no contest. 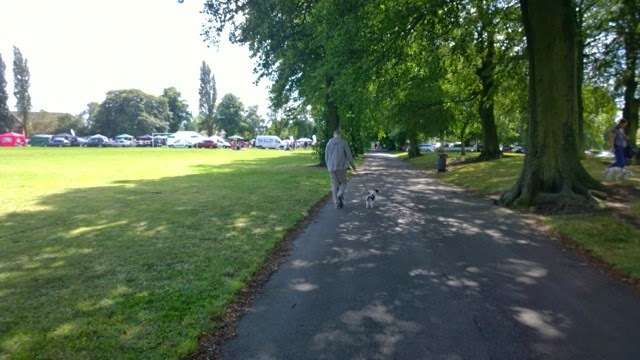 We went to the park at the weekend to a dog show event that happens every Summer, but as we sat there eating our picnic nibbles, the wind blew swirls of leaves around our heads and even our dog felt a chill in the air, as the sky turned a bit darker and we regretted not bringing the rain cover for the stroller. It seemed that in the space of a weekend, we'd spotted a slight shift in the season that will soon be a full on change. 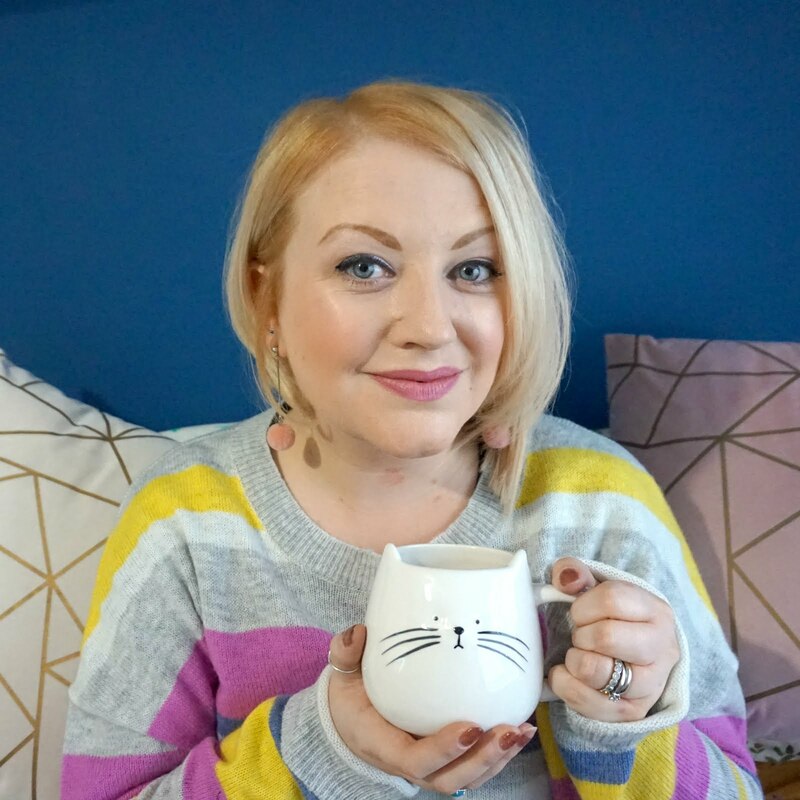 Last year, my love of Autumn found me writing another post, which happened to be my entry to the Center Parcs and Tots100 family blogger competition and it helped me win a spot on the blogger team (best news ever for a blogger like me! ), so just another reason why Autumn is so good to me. There's nothing I don't love about Autumn (although I could do without so much rain) and with Ethan finding his feet (hopefully) I can't wait to enjoy the new season with him soon. Water vs. baby products - new video from Johnson's Baby, featuring me! 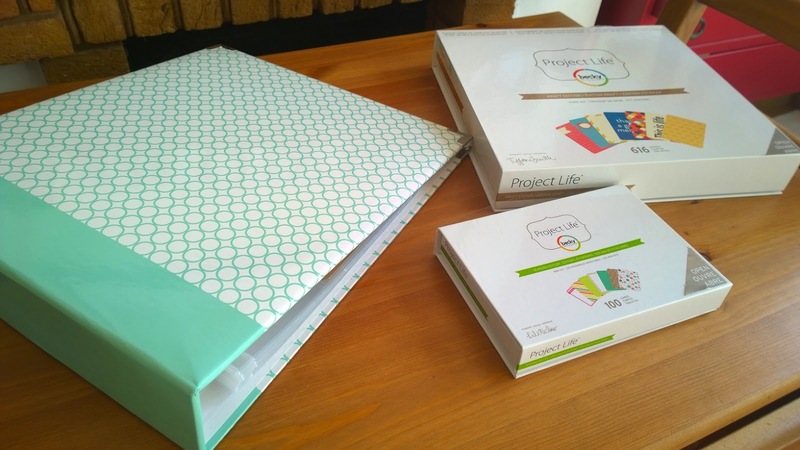 A few months ago, I was asked to help with a special project and I have kept everything under wraps... until now! I took part in a video about the old debate of whether water is best for baby skin and what products you can use to care for your little one. So. I finally gave in. I had to. It was only going to get messier. And harder to let go. 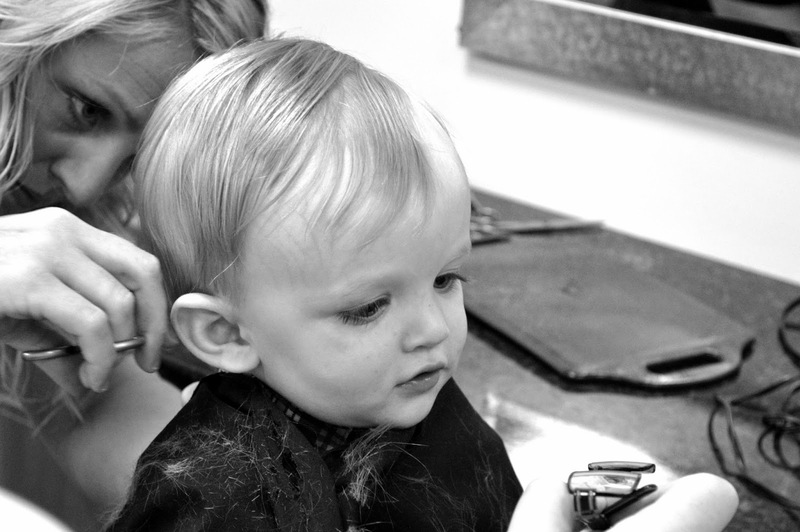 We took Ethan for his first haircut yesterday. My baby boy had his baby hair cut and his golden locks trimmed into a smart style. 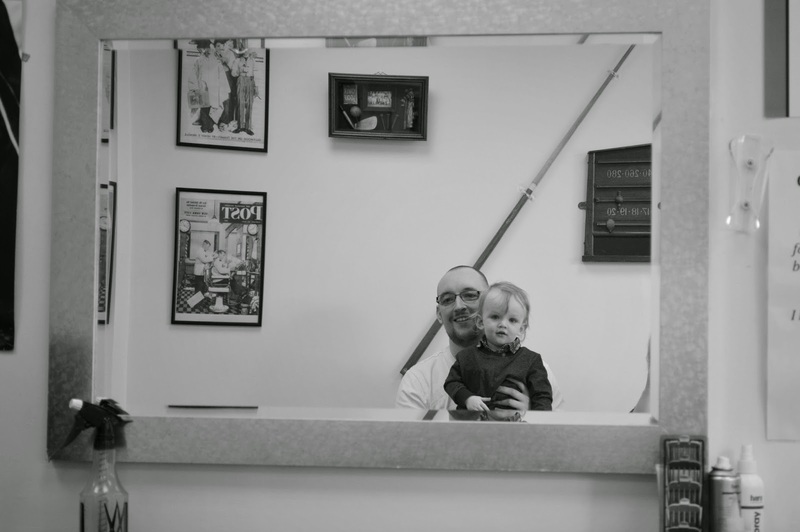 I knew that trimming a few wisps of hair would make all the difference and as we watched in the mirror, our little boy became more of a little man with every snip. Of course, Mummy kept his first locks as a memento. How could I not? Such beautiful hair and yet another milestone marked.